walks slowly to her daughter's room and quietly steps inside. that seem to come to life as if projected on the screen. the eager outstretched arms that beg, "Please hold me for a while!" recollections of the joy when she began to talk. began to show the kind of lovely woman she would be. when marriage changed her status from daughter into wife. will never fade, it's time to put new pictures on the screen. will quickly wipe her tears and quietly step aside. 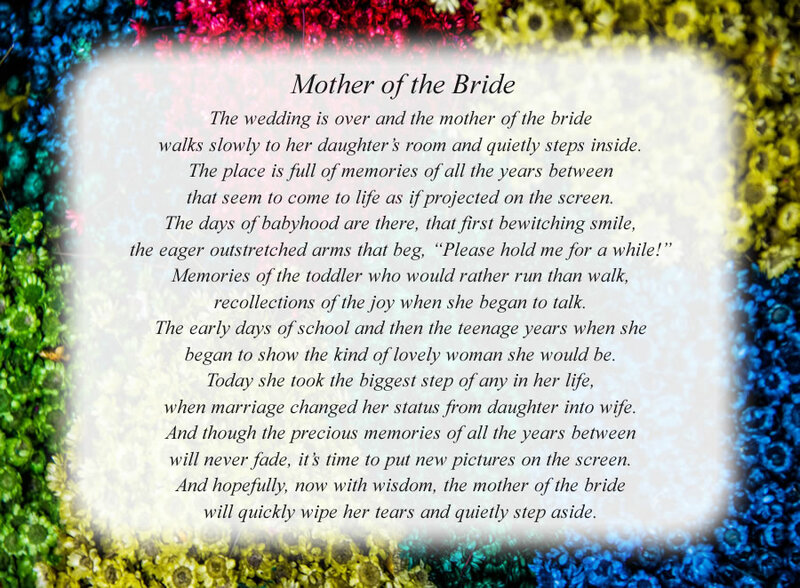 The poem, Mother of the Bride, is free and printable by opening or downloading using one of the three links below.